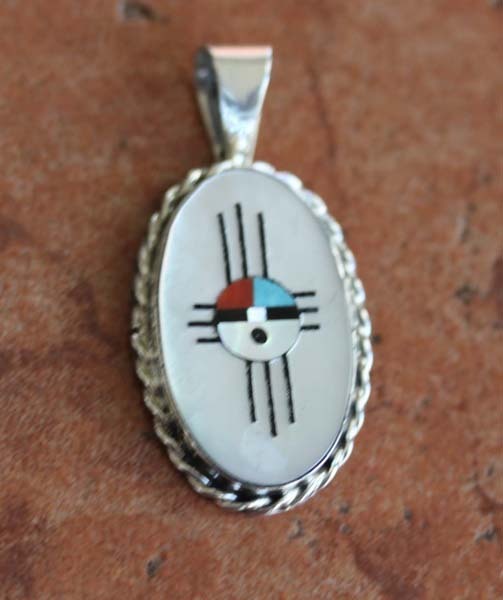 Zuni Native American Pendant. It is made from sterling silver and multi-stone inlay. It is 3/4" in width and 1 1/2" in length including the bail.